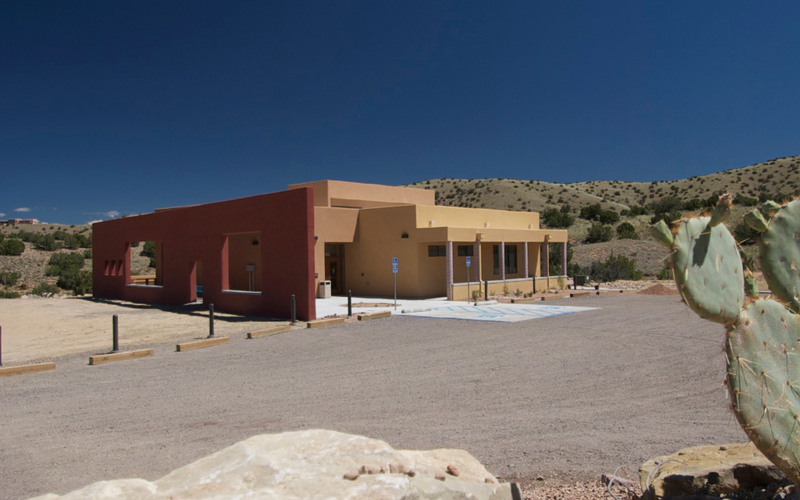 Sited to maximize views of the Sandia Mountains and the western volcanoes, the new library building is nestled in the residential hills with a modest yet strong presence along Highway 165. A general master plan for a 7,000 SF facility was conceived to give direction to the siting and floor plan for the initial project. It was the devotion of the volunteers and the generosity of the community that provided support and inspiration for the Phase One project. 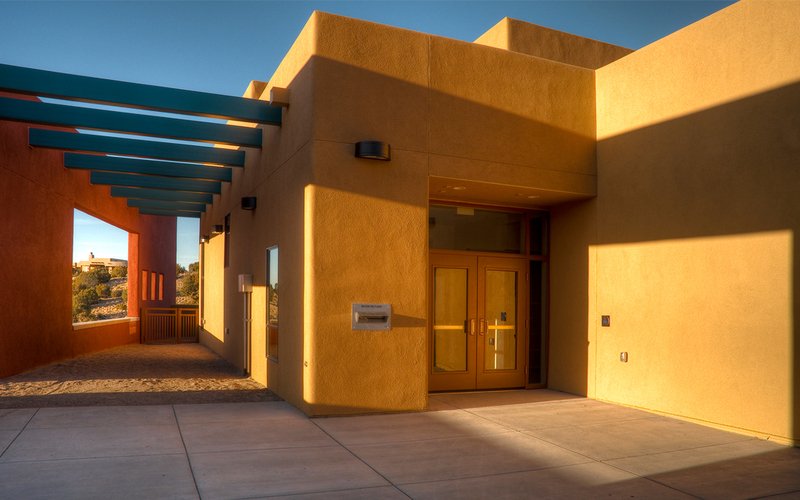 The library’s mission is to provide open and equal access to resources and services to meet the diverse needs of the Placitas community.